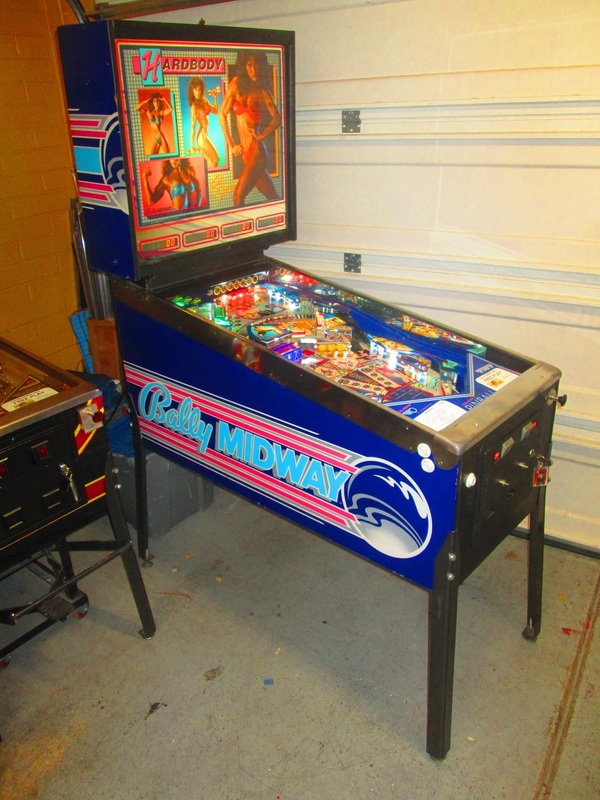 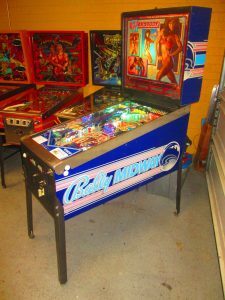 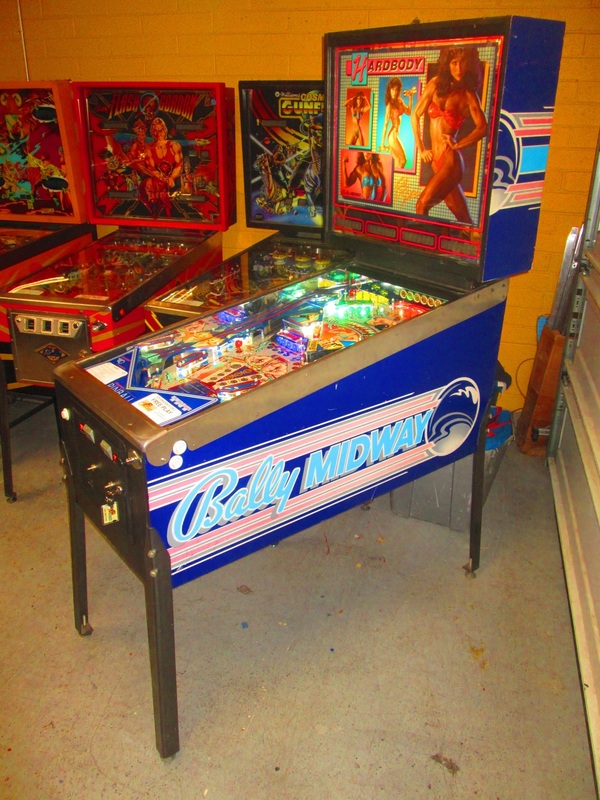 We just finished a full shop job on this great pinball machine – a Bally Hardbody! 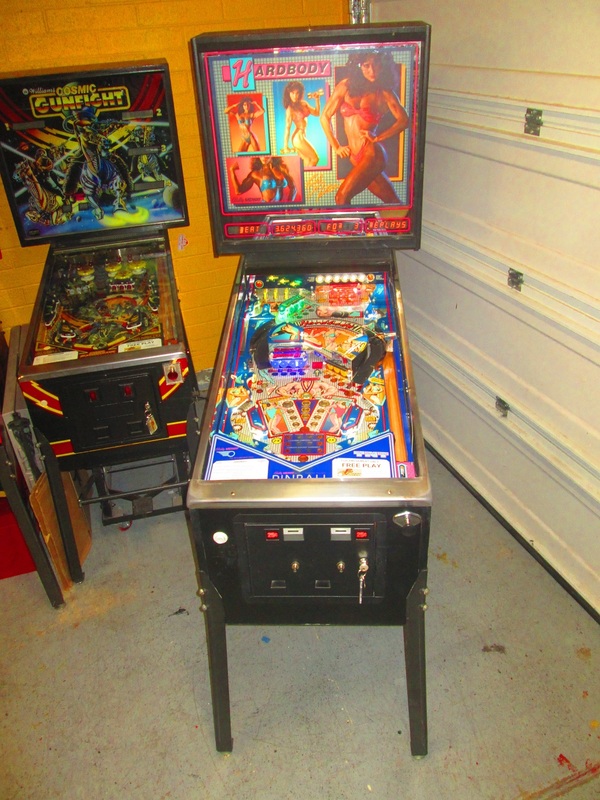 This machine is the only machine endorsed by Rachel McLish, the first Ms. Olympia. Are you tough enough for Hardbody? 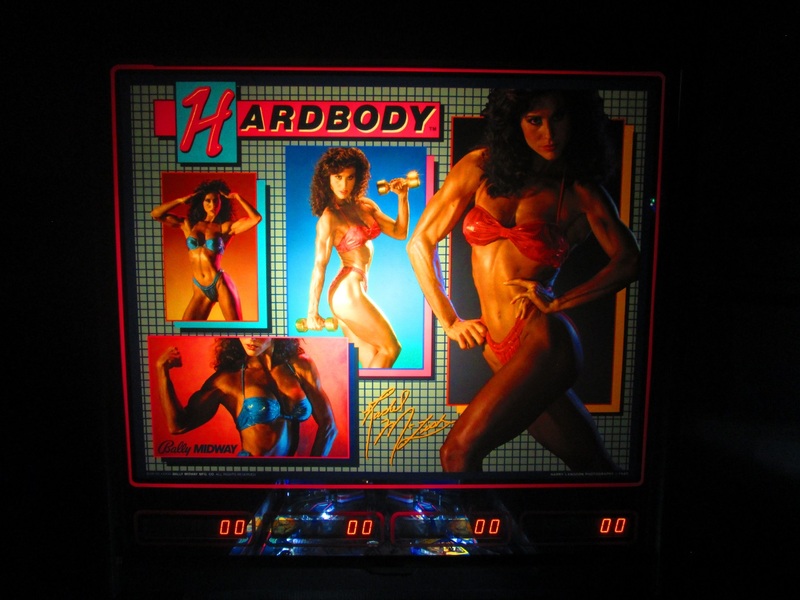 Featuring the first Ms. Olympia and a hard-core workout theme, this machine continues to make players’ pulses race. We’ve given this one a full shop job, pulling everything off the playfield to be polished, washed, tumbled, buffed, or otherwise cleaned. We installed Cointaker LEDs throughout the game as well. Look at that glow! 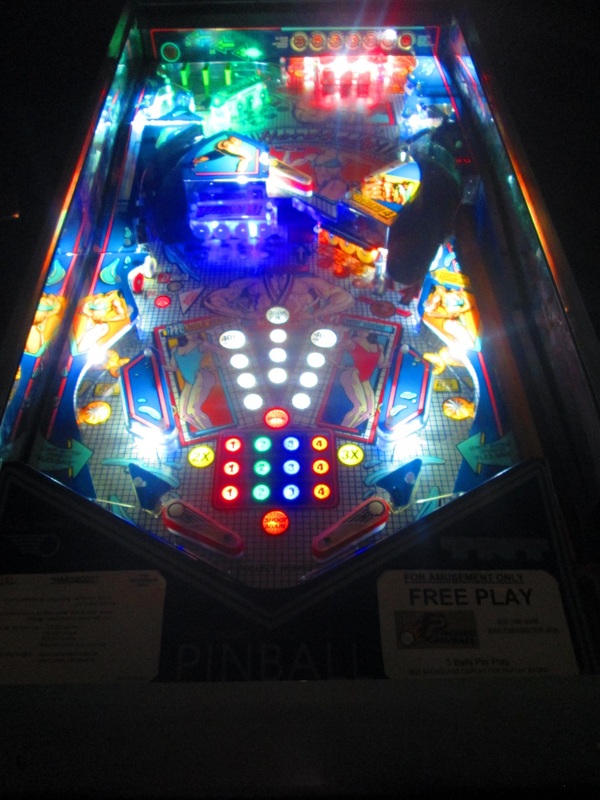 You can see the great factory-installed mirror blades in this game, too. 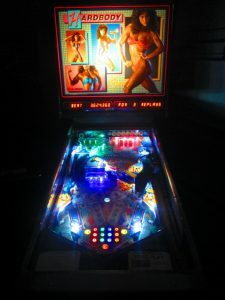 As far as we know this was the first and only game to come with them.